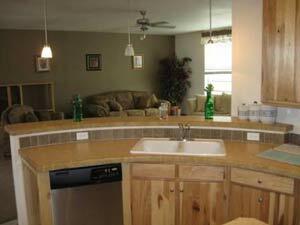 Browse through our floor plans see the different options then create the home of your dreams!!! First impressions can make a grand statement!!! 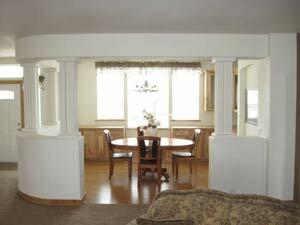 The main entrance to this triple wide manufactured home features a large entry foyer. 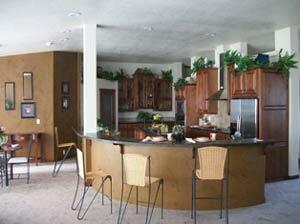 has removed a wall and opened up the kitchen creating a very large open area. 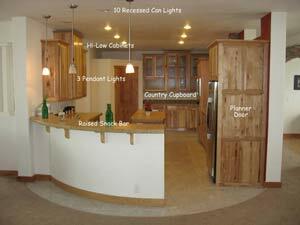 See how changing the cupboards and the layout changes the entire look. 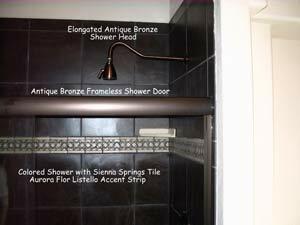 Plans can be customized to fit your design. 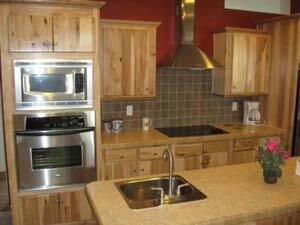 Note the built in stainless steel appliances, island prep sink, and tile back splashes. Standard counter tops are laminate with tile trim, if you love the look of stone, we offer Cambria Natural Quartz counter tops for an unmatched beauty and elegance. bay windows, make-up vanity, decorative nitch for TV...and more! 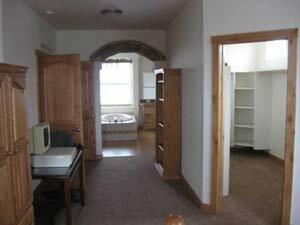 The exterior photos above are of the same Triple Wide manufactured home, Marquis Manor Series # 4505. The home on the right has an added entry dormer, and was made ready to accept an after market site built garage. 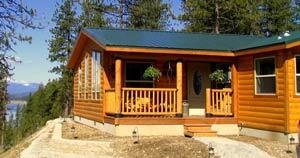 The exterior photos above are of the same DoubleWide manufactured home floor plan, Country Cabin # 5001. The home on the right has an added tag (third section) which creates more living space. 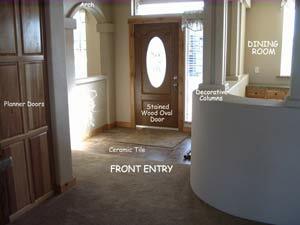 A tag section can be added to many of the floor plans.